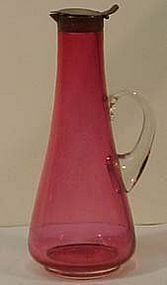 Cranberry 7.25" Syrup from the Victorian era. I can't tell you much about this other than it is old, probably from pre-1920's. It does have a brass top and ground bottom.